Domestic, Commercial Planning & Building Bromley BR | Quality Property Care Ltd.
Get the expert builders company in Bromley BR, call 020 3746 4287 and have our team fulfill your renovation fantasy. Our specialists can work with other service, though keep in mind that we have all that you will need here, easily call and ask our representatives. Possibility for Quality Property Care Ltd. to provide all the necessary materials: high quality and the best prices are guaranteed! Use this service to re-tile or re-grout an area of your property. We work with a wide range of tiles, grout varieties and floor types. We can handle anything from glass tiles to mosaic tiles, ceramic tiles, marble, quarry tiles and porcelain tiles. 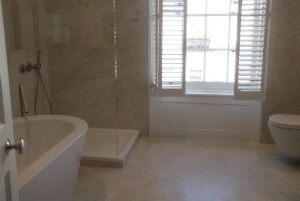 Quality Property Care Ltd. team is capable of tiling entire walls and floors, in which we include the installing of ceramic, porcelain or natural stone tiles, installing borders, applying mosaic tiles, installing floor or wall tiles as well as part-tiling walls. For grouting we work with tiles, we remove and replace old grout, the application of grout on both walls and floors as well as repairing grout cracks. To prolong the life of your ceramic tiles you can opt for the application of sealants which coat both the tiles and their grout. In this we include the sealing of tiles and grout, the application of seals to prevent grout stains, the application of waterproof sealants and re-sealing of old grout and tiles. 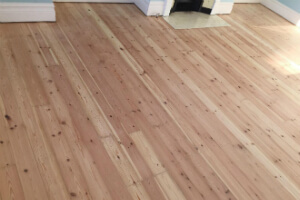 For more than fifteen years, Quality Property Care Ltd. has been offering the tenants, business or property agents, home owners and landlords in Bromley BR a full range of prime quality, professional builders services. From total refurbishments of entire office buildings & hotels to repainting bedrooms, the company offers professional builders services, no matter whether the job is small or big. Offering all kinds of refurbishment and renovation services, the company has hired the very best people to provide them to you in accordance to your requirements and your price range. Whatever property improvement you need, the experts in building and planning will answer your needs and surpass your jobs. So, whatever you need from tiling, kitchen and bathroom remodelling, painting and decorating, all types of electrical works and from minor tasks to complete rewiring, all types of plumbing works from minor tasks through redesign of the plumbing system to gas related plumbing jobs, installing solid wood floorings, the company can offer it to you at affordable prices and with a high quality guarantee. To book a viewing by an expert from the company, you can call our customer care service at 020 3746 4287 or write an online request. It is easy and quick, and will ensure that your building plans and ideas are reviewed by an expert or team of experts, and that you will be given the best offer in Bromley BR for the task. Book your viewing to receive an offer for the high-quality, guaranteed and insured builders services offered by the company now!